This year, to celebrate the 12th anniversary of the launch of the Don Thompson LGBT Film Festival, USC Lambda is enhancing and expanding the program to build community, create opportunities for meaningful dialogue and raise money for scholarships. The films will be grouped by genre and screened over three consecutive nights, rather than over the course of a single afternoon. The screenings will take place at the Ronald Tutor Campus Center Alumni Salon (TCC 302), April 2-4. Guest speakers will lead discussions about the films as art and as reflections of the LGBTQ community; this revamped schedule will enable more people to see and comment on the films. USC Lambda will then bring the festival to a close with a scholarship benefit April 7 at the USC University Club, where the winners of the festival’s Artistic Merit and LGBTQ Awareness Awards will be announced. Click here to submit your film for consideration no later than midnight, February 15, 2019. Check back soon for more information on the films, screenings and the scholarship benefit! The Don Thompson LGBT Film Festival began as an outdoor movie-night fundraiser coordinated by USC Lambda co-founder and former president Amy Ross PhD ’86 and LA Frontrunners. 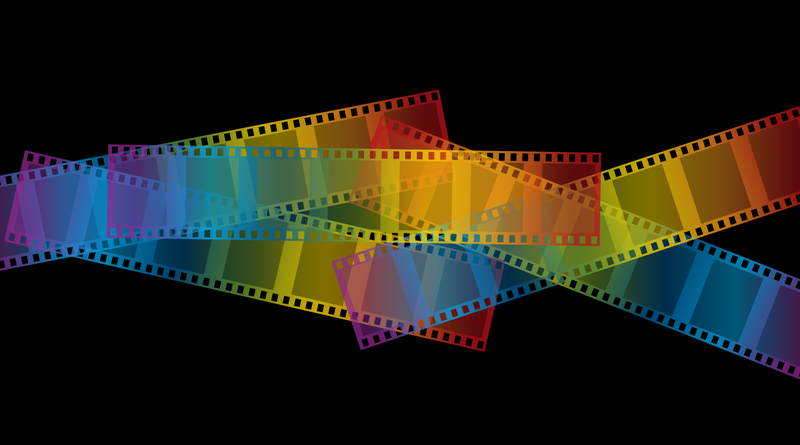 Today, the festival showcases the work of up-and-coming LGBT and allied Trojan filmmakers and is one of USC Lambda’s signature events, with proceeds benefiting the Don Thompson Scholarship in Cinematic Arts. The scholarship, which celebrates Thompson’s passion for LGBT film, as well as his “family” at the USC School of Cinematic Arts, is available to graduate or undergraduate students enrolled at the school who demonstrate a commitment to advancing LGBT issues through creative work, scholarship and/or community engagement. 2019 Films to come soon. In the meantime, here are films from last year’s festival. Synopsis: When Carlos discovers pictures that his photographer boyfriend Jaime took of a male model, he becomes engulfed in jealousy. About the Filmmaker: Reid Waterer is a producer, director and screenwriter whose short films have screened at 230+ film fests on six continents, including BFI Flare London LGBTQ FF, Provincetown FF, Palm Springs ShortFest, Miami Short FF, Outfest, & Frameline. He was a nominee for the Iris Prize (from Cardiff, Wales), and has won more than a dozen “Best Short” jury & audience awards. He’s also an editor of movie advertising trailers and television spots. He graduated from the USC School of Cinematic Arts with a BA in film and television production. Synopsis: A dying woman suspects her husband is a closeted homosexual and decides to track down the man she thinks was his original love. About the Filmmaker: John Palmer is a producer, director and screenwriter whose work spans fiction, nonfiction and experimental projects. He recently earned his MFA in film and television production from the USC School of Cinematic Arts, and is a proud three-time Lambda scholar. He is currently developing his first feature film, Outside of Deary. Synopsis: This documentary chronicles a year in the life of Iranian lesbian refugee Elaheh Nejat as she attains U.S. citizenship, struggles with ghosts of her past, and fulfills her dream as a competitive bodybuilder. About the Filmmaker: Abie “AB” Troen is a documentary filmmaker who has filmed in Israel, Kenya, India, Mexico and the United States. His work has screened at Doc NYC, OutFest, Big Sky and online for Conde Nast, as well as Out magazine. While pursuing his MFA at the USC School of Cinematic Arts, he was awarded an Annenberg Fellowship. Currently based in Los Angeles, he works as a documentary director of photography and director. 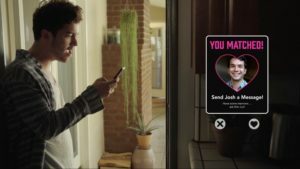 Synopsis: In this original musical comedy, a bisexual twenty-something guy who’s addicted to dating apps enlists his roommate—who’s secretly in love with him—to swipe left or right. About the Filmmaker: An artist and musician turned writer/director, Jeffrey Simon spent eight years working in the art department for films, including Spider-Man: Homecoming, Edge of Tomorrow and the upcoming Venom, before coming to USC to pursue an MFA in film and television production. Synopsis: Jesse wants to tell her best friend, Roxanne, that she loves her. About the Filmmaker: Nate Trinrud is a native of Rock Island, Illinois. He studied theater at Northwestern University before coming to the USC School of Cinematic Arts, where he earned an MFA in film and television production. While a student at USC, he was served as co-president of Queer Cut, the university’s queer cinema club. About the Filmmaker: Elisa Oh is a queer Korean American writer and director. As the daughter of a preacher, she grew up poised to follow suit, earning a master of divinity at Fuller Theological Seminary. After parting ways with the church, she decided instead to tell authentic stories from her own experiences through film. She is currently pursuing an MFA in film and television production at the USC School of Cinematic Arts. 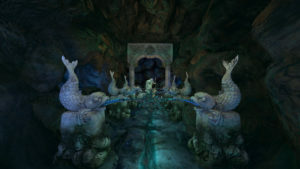 Synopsis: Enchanted water dances in a mysterious grotto. About the Filmmaker: Mario Sotelo is a multi-media animator based in California. He earned a BA in studio art, with a concentration in digital art, from California State University, Sacramento. He’s currently pursuing an MFA in animation from the USC School of Cinematic Arts. Synopsis: A father’s empathy towards his daughter gives her the will to fight against female social limitations. About the Filmmaker: Gershon Sng was born in Singapore and relocated to Hong Kong at age 12. Seven years later, he returned to Singapore to serve in the army before moving to Los Angeles to attend USC, where he is currently pursuing a dual degree in gender studies and film and television production. His goal is to write, direct and produce commercially and critically appealing science fiction feature films that foster positive social change. 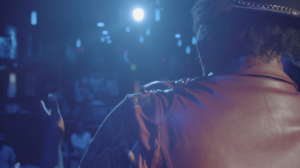 Synopsis: A black comedian struggles to find his place in both the stand-up and gay communities. About the Filmmaker: Wes Akwuobi is a second-year graduate student in the USC School of Cinematic Arts, pursuing an MFA in film and television production. As a first-time filmmaker at USC, he’s finding his voice and aspires to create work that explores intersectionality and spotlights stories that are seldom told.